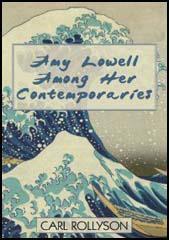 Amy Lowell the daughter of wealthy parents, was born in Brookline, Massachusetts, in 1874. After being privately educated Lowell travelled widely before settling in New York City. Her first volume of poems, A Dome of Many Coloured Glass was published in 1912. Rebelling against her respectable upbringing, Lowell shocked society by smoking large black cigars. Lowell also held radical political views and in 1914 and began having her work published in The Masses, a socialist journal edited by Floyd Dell and Max Eastman. A supporter of modern poetry, Lowell edited an annual anthology of imagist poets during the First World War. This period also saw the publication of Lowell's second volume of verse, Sword Blades and Poppy Seed (1914) and a critical study, Six French Poets (1915). This was followed by Men, Women and Ghosts (1916), Tendencies in Modern American Poetry (1917) and Pictures of the Floating World (1919). 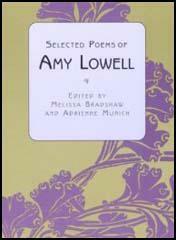 Amy Lowell died in 1925.